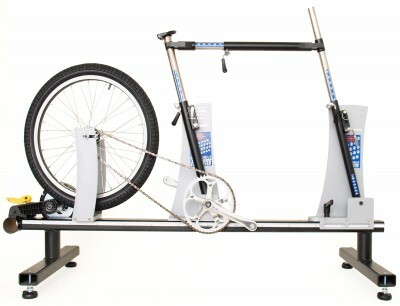 Fitmaster Stationary Bicycle Fitting Machine – $2200. Seat, top and head tube rulers. Ratcheting front angle plate slider bolt. Basic Crank, wheel and chain. Saddle, bars, seatpost and stem not included.